This spectacular and prize winning show car features numerous BF Performance modifications to make it unique and quite striking. The car has been upgraded with a remotely switchable sports exhaust which improves on what was already one of the best exhaust notes on any car produced in recent years and adds around 40 horsepower. 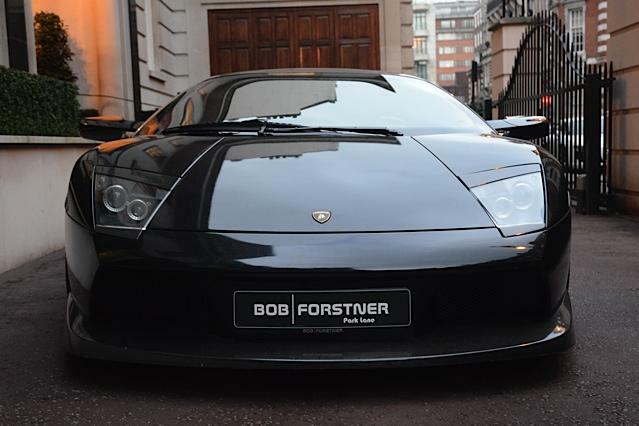 The carbon fibre front splitter, side skirts, rear diffuser, engine cover and rear wing were produced by BF Performance to meet the demand for a roadgoing version of the track-only Murcielago R-GT and add visual presence. A narrower rear wing is also available for road use. 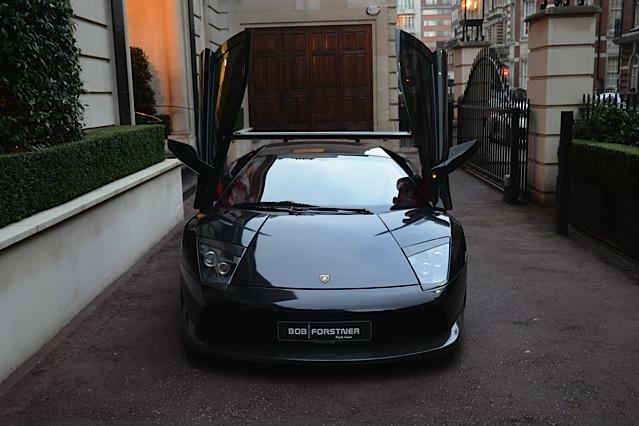 The brakes have been uprated to LP640 first series specification as have the wheels and rear lights. 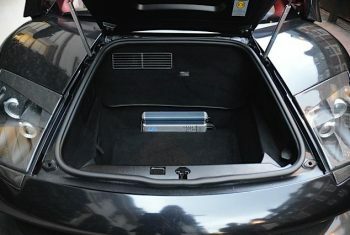 All upgrades can be easily removed returning the car to factory specification. 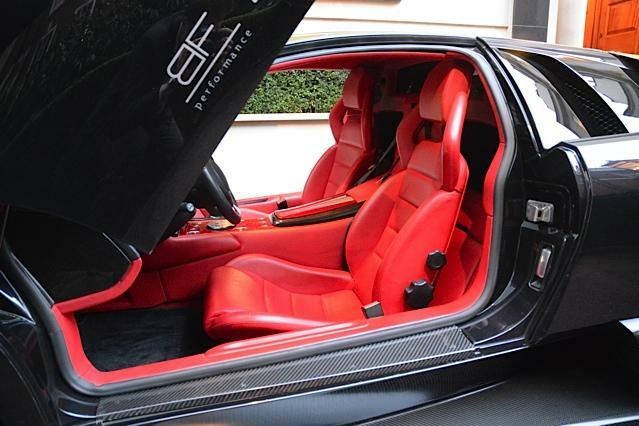 The interior is accessed through remote opening driver and passenger doors and is finished in red leather with custom red carbon fibre to the centre console and dash surround. The facility has been provided to fit racing belts should the owner so desire. 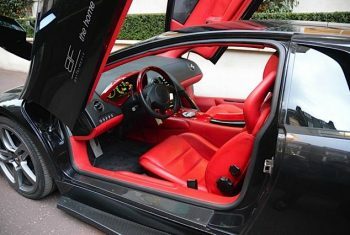 Entertainment is provided by a top of the line touch screen head unit featuring GPS navigation and reversing camera with a separate amplifier, uprated speakers and subwoofer – if the exhilarating exhaust soundtrack is not enough by itself. The cost of the improvements to this car add up to in excess of £60,000 so this car represents something of a bargain.